Successful organizations that sustain rapid growth for years, while achieving even higher levels of efficiency, quality and market value, have change woven into their very fabric. Like a school of fish these organizations are constantly moving — they are fast, focused and extremely flexible. 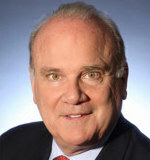 John Mathers has advised businesses and their leaders for over four decades. Working with executives and managers at every level, John partners to create consistent growth by uncovering efficiencies, reducing risk and increasing profitability. John’s practical experience supports an on-the-job approach to executive leadership, where addressing “now” issues builds powerful teams, competent to quickly respond personal cause and effect essay topics and produce extraordinary results in shifting markets. Assignments have encompassed every size of business from start-up to multinational. John has worked in multiple industries: banking, insurance, brokerage, card services, semiconductor, software, aerospace, manufacturing, beverage, and consumer goods, as well as non-profit and federal, state and local governmental agencies. Prior to founding eVo Associates, John ran an international consulting firm, Grinnell Scott & Associates, Inc., where he worked on projects that included organizing a global financial emergency response system and integrating key distributed trading technologies into a mainframe operation. As the Pacific Rim Consulting Manager for Dove International, John led the efforts to turn around the profitability of a client’s billion dollar international division. As a Financial Services Principal Consultant for SRI International, John completed the first market assessment ever undertaken for the Federal Reserve Bank. And as Vice President M&A and Business Services Strategic Planning at Bank of America, John built a presence prior to interstate banking by purchasing technology and customer base. Over his career as a business advisor, John has written two books– Managing from literary analysis essay to kill a mockingbird the Source: Business Leadership in the 21st Century and Change-ABLE Organization: Key Management Practices for Speed and Flexibility – and various articles on teamwork, management, and business trends. John is a regular presenter at various forums, offering audiences practical approaches to leadership and building high performance teams.